From volunteering at a child’s school to working together on a company project to following a bill through Congress, anyone who has served on a committee understands that coming to a consensus can be a lengthy and not altogether pleasant — or effective — process. Along with a general back-and-forth of possible outcomes and other lengthy discussions, there can also be heated arguments before even the smallest decisions can be reached. This group decision-making process, including all the distinct concepts and conversations that occur as part of group discussion, is what a team led by Notre Dame’s Tim Weninger will be studying as part of a recently awarded grant from the Army Research Office’s (ARO) Young Investigator Program. 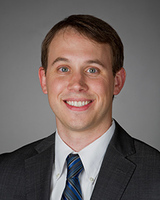 An assistant professor of computer science and engineering and faculty member in the Interdisciplinary Center for Network Science and Applications, Weninger’s interests encompass large-scale multi-modal information networks and information retrieval, data mining, databases, machine learning, statistics and network science. Once the team has identified these trails, they will translate them into graph form so they can identify patterns and analyze the results. The study of the conversational trails will, Weninger and his team believe, help a provide deeper understanding of the complex interactions between individuals while also leading to the development of better leadership, social cognition and group decision making processes. Such an outcome would assist the military [it is an ARO sponsored study] as well as organizations around the world. Weninger joined the University in 2013. In addition to his receipt of this Young Investigator Program grant, he recently received a 2017 NSF CAREER Award and was selected to attend the Association for Computing Machinery’s Inaugural Future of Computing Academy earlier this year. He received his bachelor’s degree in information systems (2007) and his master’s in computer science from Kansas State University (2008) and his doctorate, also in computer science, from the University of Illinois at Urbana-Champaign (2013). Originally published by Nina Welding at conductorshare.nd.edu on July 26, 2017.